The Bureau have a variety of rooms within the centre which external organisations or representatives can hire out for their work or studies. Rooms can be hired as a one-off or via a block booking. To book a free room you should contact Lauren Moore on Lauren@the-bureau.org.uk or Damien Greenhalgh on Damien@the-bureau.org.uk or give us a call on 01457 865722. Rooms are available to hire Monday to Thursday 9am – 5pm & Friday 9am – 4pm inclusive. Any other bookings outside of these times would be subject to discussion. 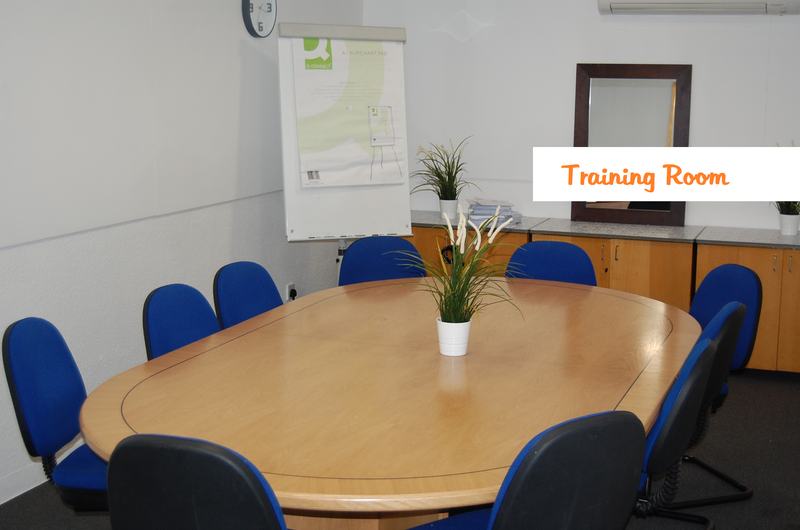 Projector: included in the hire of our Training Room is a projector and whiteboard. Flipchart paper and pens: available for all bookings on request. WiFi: our wifi password is available for all booking on request. Photocopying and/or printing: if you require printing on the day then please ask the reception staff and we will be happy to accommodate however this is subject to a small charge. 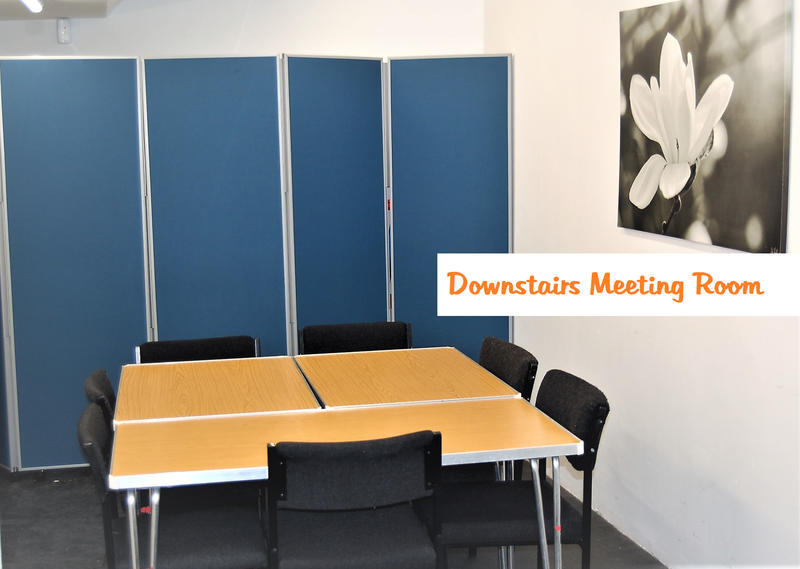 A medium flexible accessible ground floor room for meetings or small groups/sessions. There is also a disabled toilet on the ground floor. 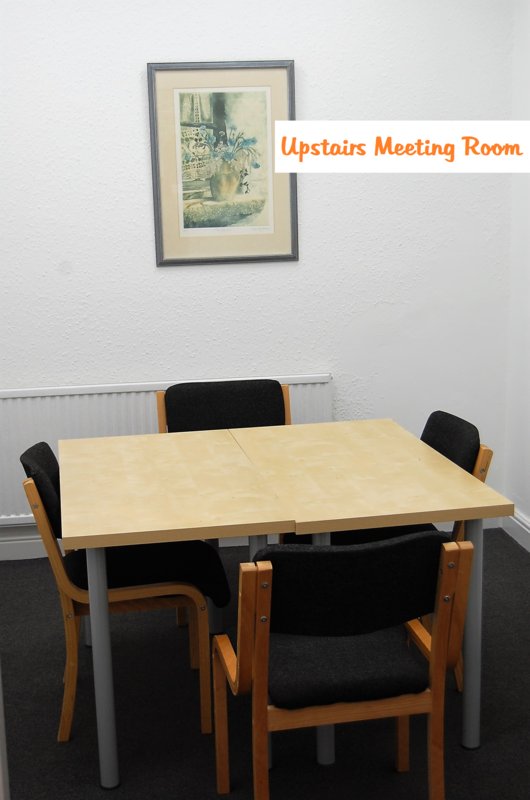 A small meetings room for up 6 to 8 people, situated on the first floor. 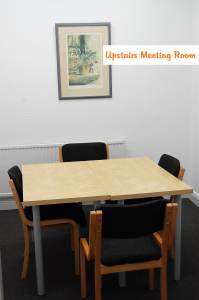 A small counselling room for 1 to 1 meetings or therapy sessions, situated on the first floor with entrance directly off reception for privacy. This large Training Room features a large board table and is big enough to seat 12 people, with breakaway table and chairs to the side of it. Above is our standard room charges. Please contact Sophie Glinka on sophie@the-bureau.org.uk or Rebecca Hyde on rebecca@the-bureau.org.uk to discuss your specific requirements, as may be able to make accommodating for regular bookings or smaller groups.